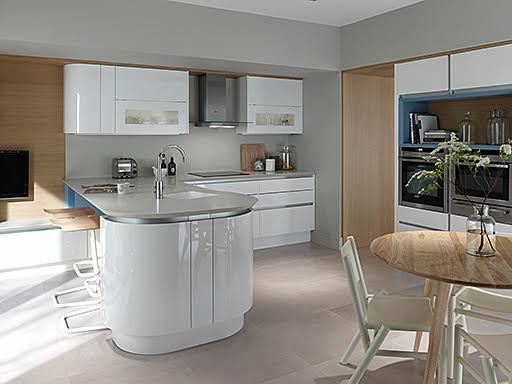 The Tomba gloss white kitchen creates a stunning kitchen option. The Tomba has a high gloss finish and german style true handleless form. It is the perfect choice for a ultra modern kitchen design.